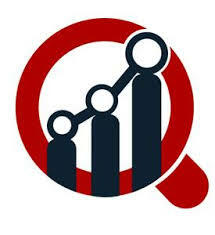 Automotive Aftermarket Industry growing At 4.40% compound annual growth rate from 2019 to 2023, according to latest report on Global Automotive Aftermarket Industry Size, Trends, Share Analysis With Regional Forecast 2019 To 2023, published by “Market Research Future”. Pune, India - April 17, 2019 /MarketersMedia/ — Global Automotive Aftermarket Industry segmented by Type (Fuel Filter, Air Filter, Oil Filter and Emission Filter), Sales (OEM, IAM, OES, Aftermarket), Application (Passenger Vehicle (PV), LCV, HCV,2-wheeler), and Region (North America, Europe, APAC, RoW). Global Automotive Aftermarket Industry growth is attributed to factors such as consumers are exhibiting greater interest in aftermarket automotive components due to the transparent nature of the aftermarket industry. Aftermarket industry offers repairs and replacements at reduced parts along with the liberty to choose services as per their requirements at a much more affordable price which has resulted in higher consumer affinity towards aftermarket components. The global automotive aftermarket is anticipated to witness a CAGR of 4.40% during the forecast period of 2017 to 2023. This projects consistent growth for the market. Valued at USD 824.82 Bn in 2017 and is expected to grow to reach an approximate value of USD 1,023.4 Bn by the end of 2023. Motivated by increased consumer inclination towards aftermarket, automotive OEMs are aggressively expanding their aftermarket activities to secure core business and strengthen their position in the market which has been a major driver for the growth of the global automotive aftermarket industry. The global automotive aftermarket industry has been segmented based on offering, channel type, vehicle age, and vehicle type. By offering, the automotive aftermarket industry has been segmented into parts and services. The parts segment accounts for more than 50% share of the global market and is likely to exhibit the highest CAGR over the forecast period. Automotive parts such as battery, body, brake parts and others experience high demand as they are required to ensure optimal functionality. By channel type, the global automotive aftermarket industry has been segmented into authorized and independent repair. The independent repair segment accounts for the largest share of almost 60% of the global market. The independent repair segment is expected to be the fastest growing segment over the forecast period. By vehicle age, the global automotive aftermarket industry has been segmented into 0-4 years, 4-8 years, and above 8 years. The above 8 years segment is the largest segment and is expected to garner the highest CAGR over the forecast period. Vehicles above the age of 8 years are highly reliant on aftermarket to maintain optimal performance. The above 8 years segment is expected to attain a valuation of USD 610.4 Bn by the end of the forecast period. By vehicle type, the global automotive aftermarket industry has been segmented into passenger vehicle and commercial vehicle. The passenger vehicle segment is the largest segment and is likely to witness the highest CAGR over the forecast period. Rise in disposable income on a global scale has increased the sales of passenger cars. By region, the global automotive aftermarket industry has been segmented into North America, Europe, Asia Pacific (APAC), and the Middle East & Africa (MEA). North America, led by the US, currently accounts for the foremost share of the global automotive aftermarket industry. High sales of passenger, as well as commercial cars in the region, present significant opportunities for the growth of the automotive aftermarket industry. The US is marked by the presence of various automotive aftermarket manufacturers which positions the US as a major automotive aftermarket hub. Canada too is a significant destination for market players. Europe follows North America closely driven by surging demand for automotive aftermarket products and the growing trend of reuse. Moreover, Europe is home to some of the prominent automotive aftermarket manufacturers which support the growth of the market.